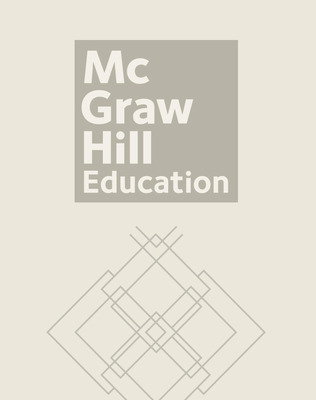 During this course, participants listen to McGraw-Hill author Vicki Gibson, Ph.D., discuss the need for and purposes of differentiated instruction and classroom management strategies that support it. They watch excerpts from various classroom lessons in which instruction is differentiated in a variety of ways, complete several online activities, and develop an instructional plan for differentiating instruction in their own classrooms. During this course, participants listen to McGraw-Hill author Vicki Gibson, Ph.D., discuss the need for and purposes of differentiated instruction and classroom management strategies that support it. They watch excerpts from various classroom lessons in which instruction is differentiated in a variety of ways. They also complete several online activities and develop an instructional plan for differentiating instruction in their own classrooms. Analyze reasons and methods for differentiating instruction. Examine classroom management and differentiated instruction strategies. Explore the balance between behavioral, environmental, and instructional management. Create and implement an activity for a lesson that uses differentiated instruction. Vicki Gibson, Ph.D., is a national consultant, author, speaker, and trainer. She has been teaching children and adults since 1975. She was a former public school kindergarten teacher and learning disability specialist before opening three of her own schools for children ages 212 years. Dr. Gibson earned three degrees, including her doctorate, from Texas A&M University where she served as a Lecturer and Adjunct Professor for ten years. Dr. Gibson is the author of the following programs: We Can Early Childhood Curriculum; I Can Draw Pre-Writing Program; Letter, Sounds, and Strokes Phonics Program; and the We Can Manage the Early Childhood Classroom. These programs are the core curricula for many Head Start Centers and programs funded by Early Reading First grants. Her latest book, Differentiated Instruction: Grouping for Success, provides research-proven effective methods for teaching and managing small- and whole-group instruction at any grade level.